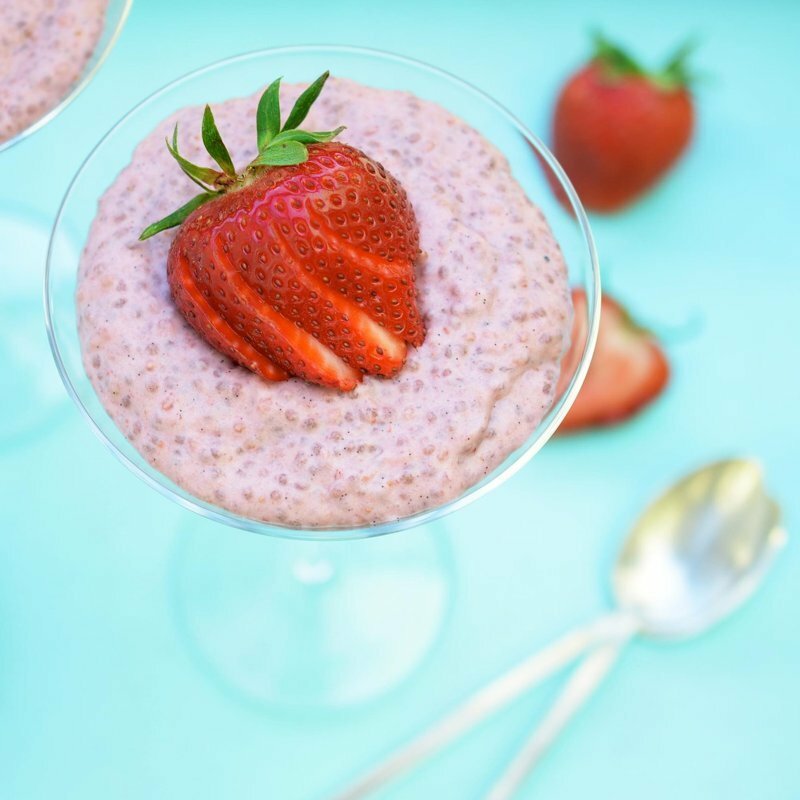 Chia seed puddings are all the rage these days, and for good reason. When stirred with water, juice, or milk, the seeds gel up and thicken, creating the most delightful tapioca-like texture. It’s easy (no heat required!) and contains all the nutrition of chia seeds, which taste neutral enough that you can play with your favorite flavors. In my case, that means a sweet spring combo of strawberries, coconut, and lime. To make this creamy dessert, simply puree a couple big handfuls of strawberries in a blender with coconut milk, honey, vanilla, and lime zest. Whisk in chia seeds, refrigerate for at least four hours, et voilà — pudding! No messing with the stove, plus it’s free of dairy, gelatin, gluten, and refined sugar. For a strictly vegan version, you can swap out the honey for a sweetener like maple syrup or agave nectar. A sliced strawberry makes a lovely topping, as do coconut flakes, cocoa nibs, nuts, or whatever your sweet tooth desires. Place the strawberries, coconut milk, honey, vanilla, and lime zest in a blender and blend until smooth. Taste and add more honey if desired. Previous Previous post: Can meditation and psychedelics have the same benefits for your mind?